On March 23, Gov. Rick Scott approved House Bill 875, which amended Florida Statute Section 95.11(3)(c) by extending the Statute of Repose (the ultimate deadline to assert claims) for latent construction defect claims. 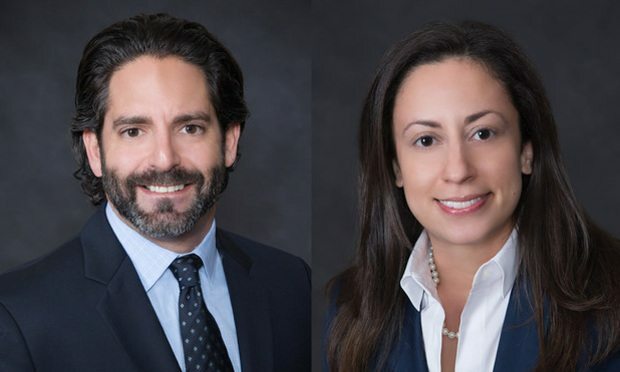 Adam P. Handfinger, Miami co-managing partner, left, and Nathalie Vergoulias, right, associate with Peckar & Abramson, in Miami. On March 23, Gov. Rick Scott approved House Bill 875, which amended Florida Statute Section 95.11(3)(c) by extending the Statute of Repose (the ultimate deadline to assert claims) for latent construction defect claims. Prior to the amended language, the Statute of Repose was 10 years following project completion, but the revised statutory language extends this period and states as follows: “However, counterclaims, cross-claims, and third-party claims that arise out of the conduct, transaction, or occurrence set out or attempted to be set out in a pleading may be commenced up to one year after the pleading to which such claims relate is served, even if such claims would otherwise be time barred.” This extension presents significantly increased risk for the entire development, construction and real estate industries, and should result in significantly higher insurance premiums. The U.S. Department of the Treasury on March 4, released proposed regulations dealing with the application of the recent U.S. tax reform to U.S. shareholders of a controlled foreign corporation (CFC).